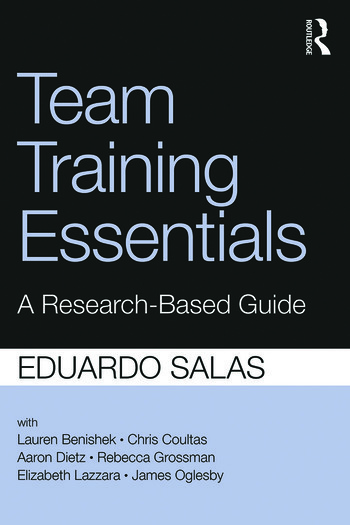 Team Training Essentials succinctly outlines best practices for team training, as based in the latest organizational psychology research. Organized into 5 ‘pillars,’ this clear, accessible guide covers all aspects of team training, from design and delivery to evaluation, transfer, and sustainment methods. Useful for anyone studying team dynamics and performance as well as group training, this book will also be of interest to professionals looking to apply team training practices in real business settings. Eduardo Salas is Trustee Chair and Pegasus Professor of Psychology at the University of Central Florida. He also holds an appointment as Program Director for Human Systems Integration Research Department at the Institute for Simulation & Training.